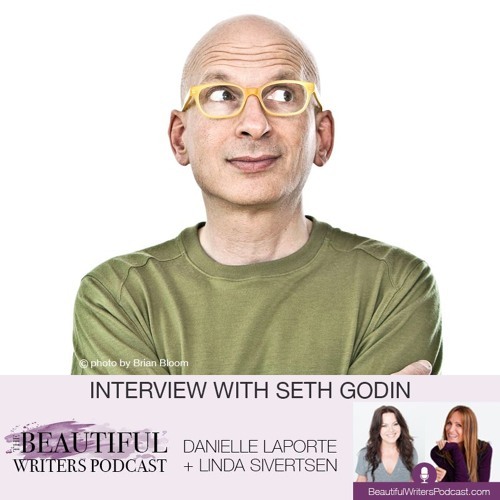 Seth Godin is one of the world’s most successful authors and bloggers, and has changed the way people think about marketing and work. He's written 18 international bestsellers that have been translated into over 35 languages. For a long time, Unleashing the Ideavirus was the most popular ebook ever published, and Purple Cow is the bestselling marketing book of the last decade. Other bestsellers include Permission Marketing, All Marketers Are Liars, Small is the New Big, The Dip, Tribes, Linchpin, and Poke the Box. Seth has an MBA in marketing from Stanford. He’s been a CEO, a book packager, and sold a business that he started for $20k for $30m. In other words, we have a lot to learn from this man, who lives in NY with his wife and their two sons and has a compassionate heart that’s as large, if not larger, than his masterful brain. For more inspiring interviews with best-selling authors, subscribe to the Beautiful Writers Podcast on iTunes. To get access to our thriving community of writers visit TheBeautifulWritersGroup.com. what a powerfull and insoiring podcast! thank you for the love you are putting in and to share it with us!